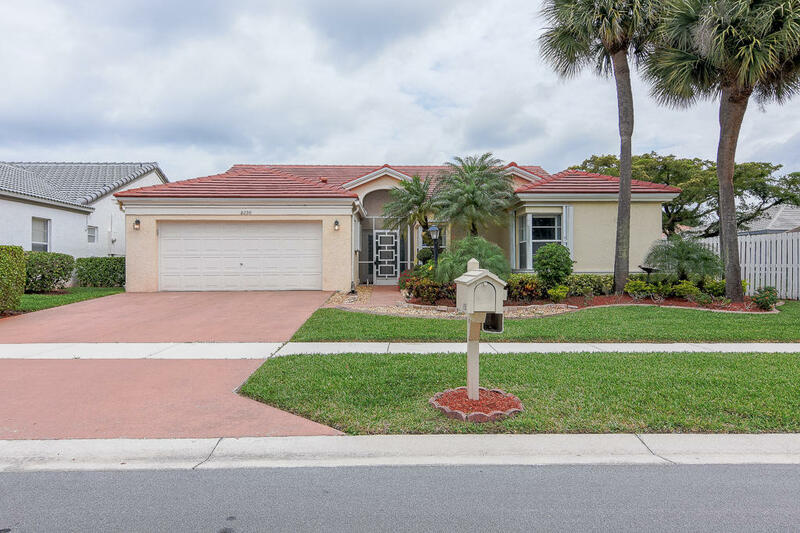 All SUMMER CHASE, CYPRESS WOO homes currently listed for sale in Lake Worth as of 04/26/2019 are shown below. You can change the search criteria at any time by pressing the 'Change Search' button below. "ROOF REPLACED 1.5 YR.- A/C NEWERBEAUTIFUL HOME AND IS ONE OF THE LARGEST HOMES IN SUMMER CHASE. GREAT BACKYARD. REMODELED MASTER BATH WITH 38'' INCH HIGH WITH HIGH END CABINETS. LARGE LAUNDRY ROOM BESIDE KITCHEN. OPEN CONCEPT HOME WITH SPLIT BEDROOM PLAN. THIS HOME IS MOVE IN READY. GREAT COMMUNITY AND LOW HOA FEES. TAXES DO NOT REFLECT HOMESTEAD REDUCTION!!"